Greece / Chile: The Best News Possible! 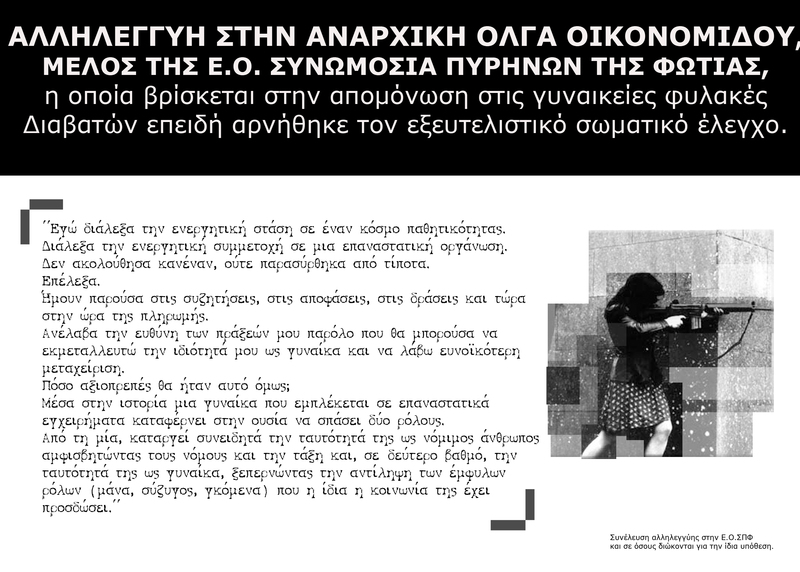 In Greece, Simos Seisidis was found innocent of all charges against him, and has been freed from prison last week! Simos was accused of being a member of the group „Robbers in Black,“ and in 2010 lost his leg after being shot by a police officer during his arrest. Meanwhile, last Friday in Chile, the six anarchists accused in the „Caso Bombas“ („Bombs Case“) of „financing terrorism“ and „placing explosive devices,“ long ago already convicted by the mass media, and facing penalties of up to 15 years in prison…were also found not guilty! Moments to rejoice in, and gather strength to continue the struggle in solidarity with so many others still held prisoner by the state. 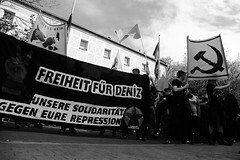 While the list is long, some very current examples which immediately spring to mind would be the Turkish anarchists imprisoned following the militant black bloc actions if this years 1st of May, 19 year old Deniz, prisoner in a Nuernberg jail for his antifascist engagement, Smily who was sentenced to 10 months in Stuttgarts infamous Stammheim prison, and Olga Ekonomidou, recently handed 30 days solitary confinement for defending her dignity and refusing a strip search. 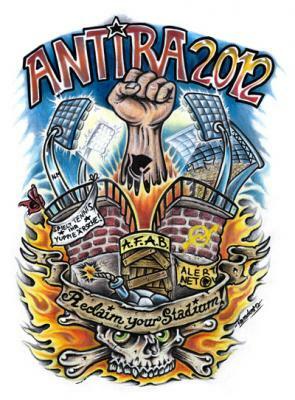 This Weekend: Flaming Star Anniversary Party, Fight Back Festival, Smiley Benefit Show, Antira Cup Hamburg, ….. There is just too much going on this weekend, and too little time. From the First Anniversary Birthday party of the great and glorious „Flaming Star,“ to the 5th edition of the Fight Back festival in Nuernberg (with a demonstration before in solidarity with the imprisoned Deniz), to a benefit show for Smiley in Berlin with Opcio K-95, to the Antira Football tournament in Hamburg (also with Opcio K-95), to a concert (Militante Pazifisten and Contra Real) and mobilization meeting in Goettingen against the coming Nazi demonstration in Hamburg, to the Maloka festival in Dijon…. 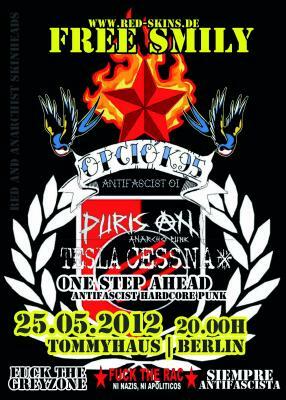 More importantly, before the festival, there will be a demonstration in solidarity with Deniz, who has been imprisoned now for over a month after being arrested at an antifascist demonstration, accused of „attempted manslaughter“ for allegedly hitting a police officer with a flagpole at a previous demonstration in Nuernberg some weeks before. Tonight, and back in Goettingen…. Last but certainly not least, is Malokas yearly festival in Dijon. Organized by good people, and this year with an excellent lineup. We were there last year, and are very frustrated not to be able to make it this year. Have a look at the lineup here. Du browst gerade in den Fire and Flames Weblog-Archiven nach dem Tag 'deniz'.